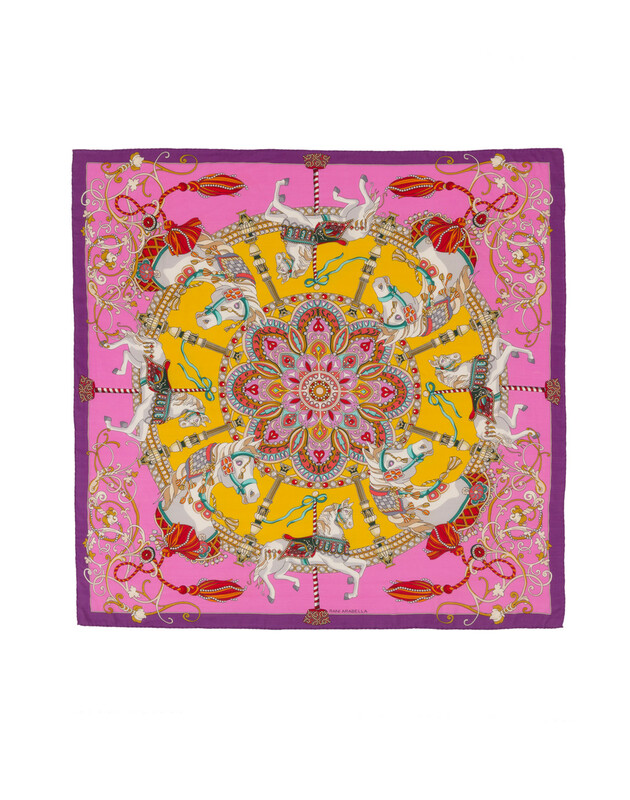 The bright pink hue of Rani Arabella's Toy Horses scarf adds a definitive feminine touch to everyday separates. 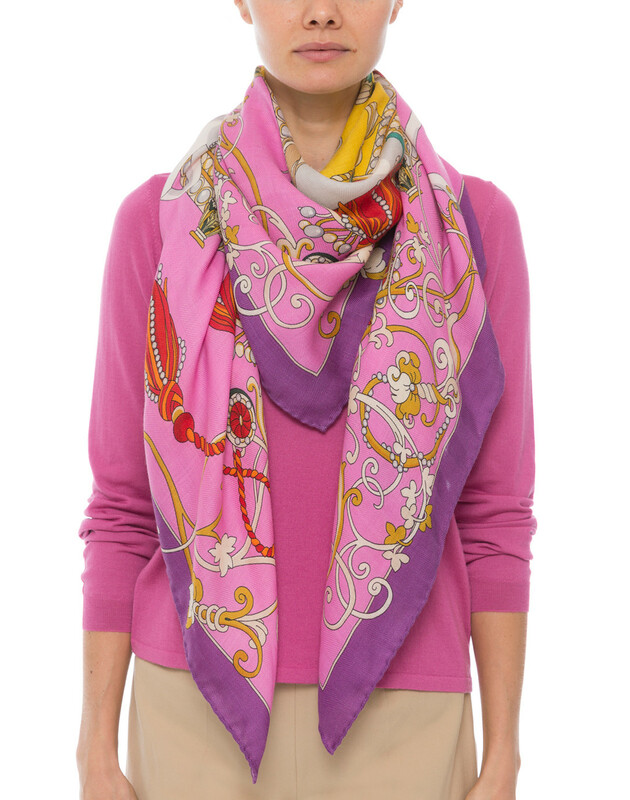 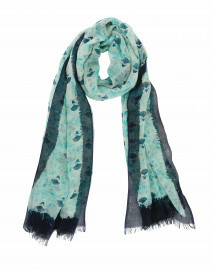 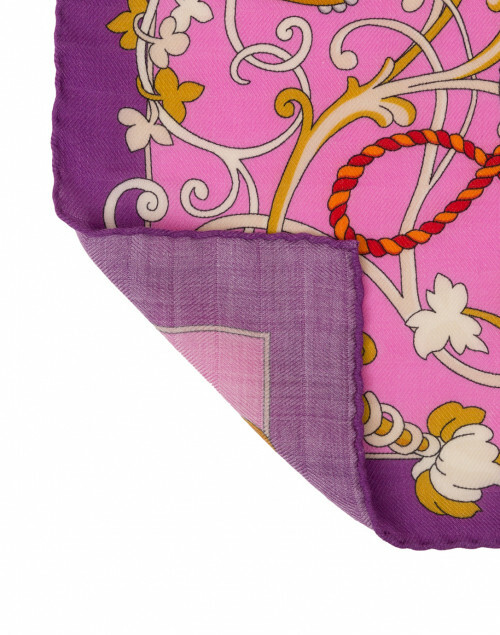 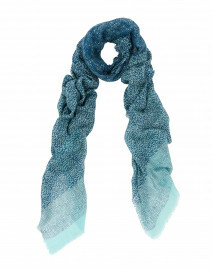 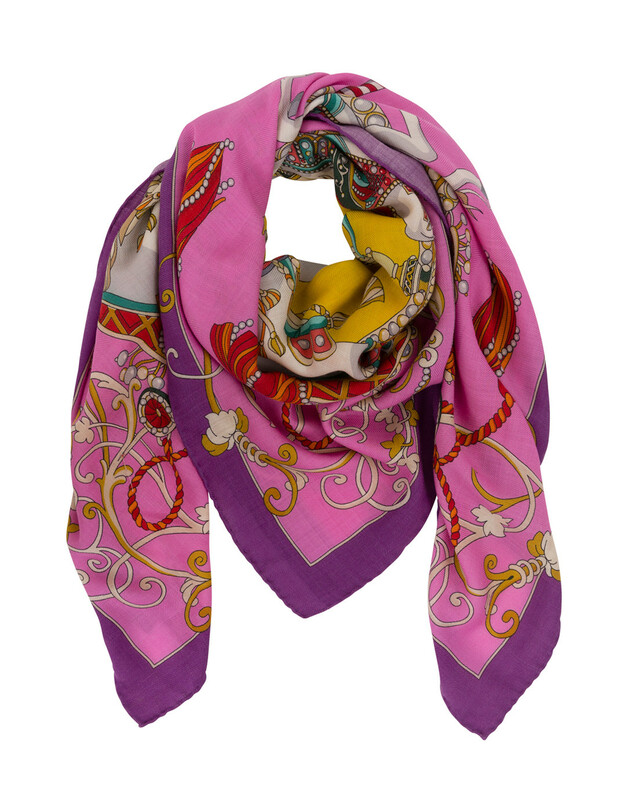 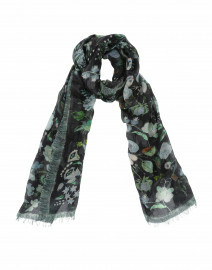 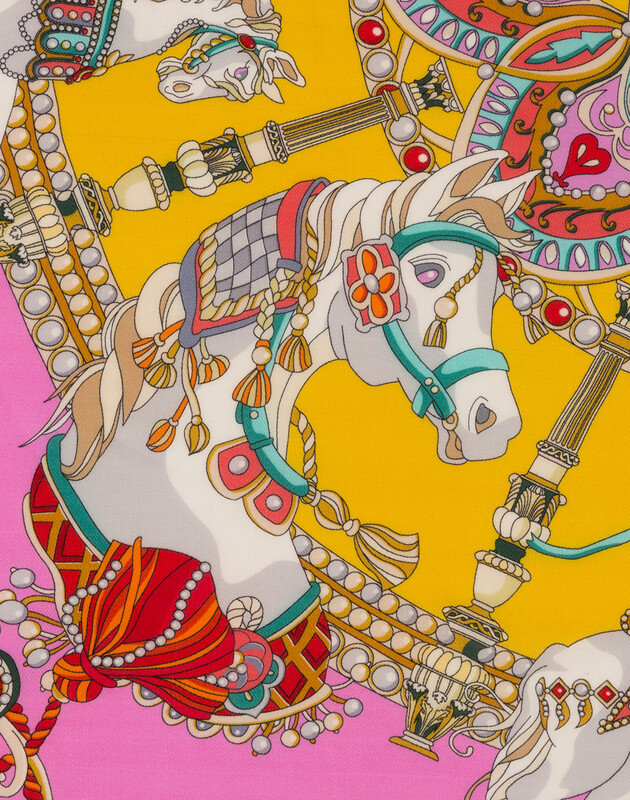 It’s crafted in Italy from sumptuously soft cashmere-silk blend, and features an ornate and playful carousel print. 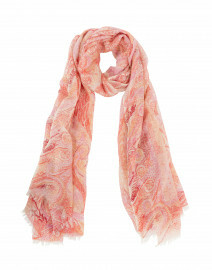 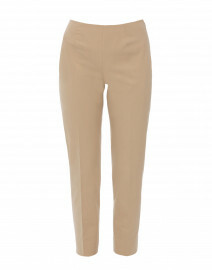 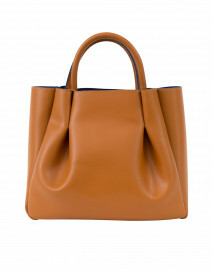 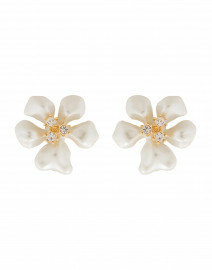 Style it with a pale pink sweater and understated accessories for a sophisticated daytime look.